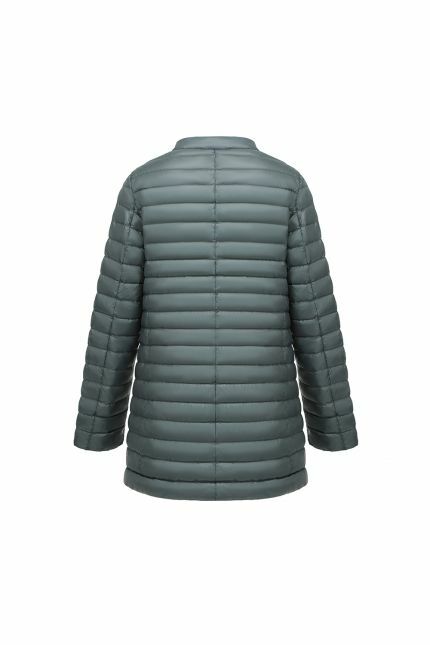 Long down jacket is the piece of outerwear loved by many women worldwide. Are you late for work or you don’t want to spend time perfecting your outfit? Opt for a long black down jacket: it fits with everything and it covers you up. Do you feel the cold? If you’re aiming to stay warm from head to toe this winter, maxi length coats keep you warm and are statement-making, giving any outfit a serious dose of chic. Do not sacrifice your femininity even in the freezing cold: an elegant form fitting jacket shapes your body and accentuates your silhouette. For extra warmth, prefer a long down coat with a hood, and in case you would like the possibility to remove it when unnecessary, pick a jacket with detachable hood. And for transition from summer to autumn, a quilted jacket adds a little something extra to a monochromatic outerwear, setting the tone of your entire outfit. 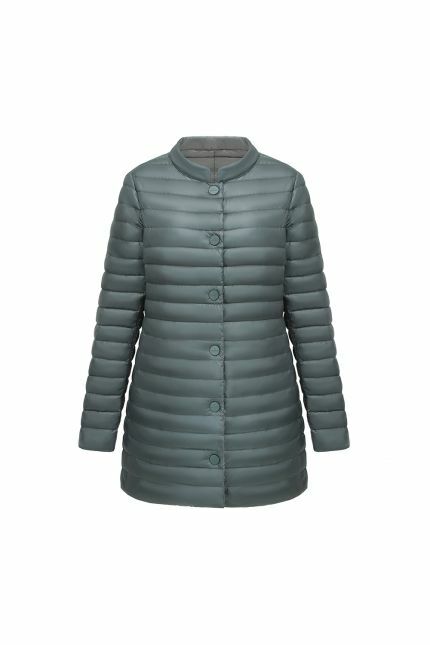 Technical details and geometries deliver highly sophisticated ladies long down jackets: choose from wave, vertical, fishbone and diamond quilted jackets in nylon or nylon laqué. All our selection is padded in goose down, insulating you from the cold and keeping your body temperature constant.